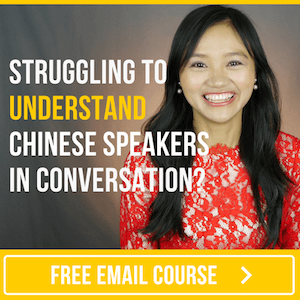 Want to get better at arguing your point in Chinese? Try to take note of good vocabulary & grammar that YOU could use in a future debate or discussion. mǎi fáng bǐ zū fáng hǎo. TOPIC: "Buying A House Is Better Than Renting A House"
Buying a house is definitely better than renting a house! Why? dì yī， fáng zi shì yī gè rén de gēn， yǒu fáng jiù yǒu jiā. Firstly, a house is one's root. If you have a house, you have a home. dì èr， zū fáng yǒu tài duō quē diǎn le. Secondly, there are so many disadvantages of renting a house. zū lái de fáng zi， nǐ bù kě yǐ suí yì gǎi zào. You can not freely modify a rental house. nǐ bù huì mǎi guì de jiā jù. You won't buy expensive furniture. bù huì àn zhào zì jǐ de yì yuàn qù zhuāng xiū fáng zi. You will not decorate the house as you wish. zū lái de fáng zi bù wēn xīn， yě bù shū fú, méi yǒu jiā de gǎn jué. A Rental house is not cozy nor comfortable, and doesn't feel like home. shǒu xiān， fáng zi bù shì gēn， jiā rén cái shì gēn. First of all, the house is not one's root. One's family is the root. jiā rén zài nǎ lǐ， nǎ lǐ jiù shì gēn. Your root is where your family is. zhǐ yào jiā rén zài shēn biān， wǒ men kě yǐ sì hǎi wèi jiā. As long as the family is around, any place can be our home. dàn mǎi fáng huì gěi zì jǐ hěn duō de yā lì hé fù dān. but when you buy a house you put lots of pressure and a burden on yourself. hěn duō rén méi yǒu zú gòu de qián， huì xiàng yín xíng dài kuǎn mǎi fáng. Many people don't have enough money to buy a house and take a mortgage from the bank. měi gè yuè hái fáng dài huì gěi zì jǐ de shēng huó dài lái hěn dà de fù dān. Making monthly mortgage payments can be a big burden in your life. hái yào rěn shòu bù xǐ huān de gōng zuò. and we have to put up with work that we don't like every day. wǒ men jiù méi yǒu bàn fǎ huā qián zuò qí tā gǎn xìng qù de shì qíng le. And we can't spend money on other things that we are interested in. When you buy a house you put a lot of pressure on yourself. zū fáng bǐ mǎi fáng kuài lè duō le. renting a house makes you happier than buying a house. wǒ bìng bù jué de zū fáng bǐ mǎi fáng kuài lè. yīn wèi zū fáng yǒu suí shí bèi fáng dōng jiě chú zū yuē de fēng xiǎn. Because there's a risk of having the rental lease canceled any time by the landlord. zài zhōng guó， fáng dōng zuì dà， fáng dōng kě yǐ suí shí suí yì ràng nǐ bān jiā. In China, the landlord is the biggest boss. The landlord can ask you to move out any time. Do you think this uncerain life brings happiness? mǎi fáng shì yī zhǒng hěn hǎo de lǐ xìng tóu zī. Buying a house is a good and sensible investment. měi gè yuè nǐ huì hé lǐ de fēn pèi nǐ de qián， lǐ xìng de xiāo fèi. Every month, you will allocate your money reasonably and consume it rationally. hái fáng dài de qián zuì zhōng hái shì zì jǐ de. The money for the mortgage is eventually still yours. rú guǒ fáng zi shēng zhí， hái kě yǐ zhuàn yī bǐ qián. If the house appreciates in value, you can also make a fortune. If you rent... the rent is not cheap either! yòng lái jiāo fáng zū de qián jiù quán gěi fáng dōng le. The money you use to pay rent all goes to the landlord. zhè yàng kàn lái， mǎi fáng hái shì gèng hǎo. So it seems like buying a house is better. So it seems that buying a house is better and an effective investment. mǎi fáng shì yī zhǒng yǒu xiào de tóu zī. Buying a house is an effective way of investing.